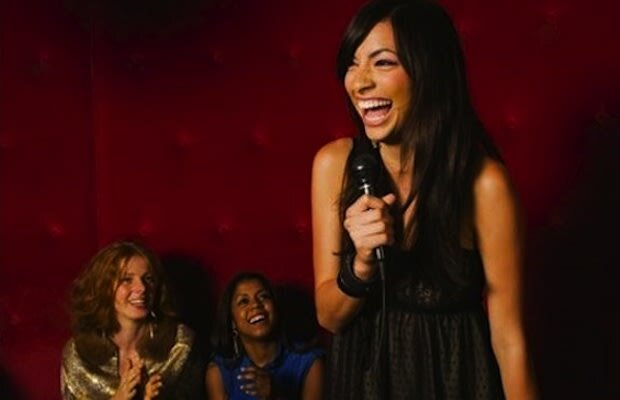 When women have finished their ladies night dinners at their glossy restaurants, sometimes someone will suggest karaoke. And because they all had several glasses of champagne at dinner, this will sound like a good idea. Katy Perry and Ke$ha will invariably be on the playlist, as will many shots to ease impending stage fright. How to approach her: Post-performance, when her self-consciousness sets in, tell her she nailed her song, but you could totally do it better. Set the stage for a little competition, and tell her whoever loses has to buy shots.